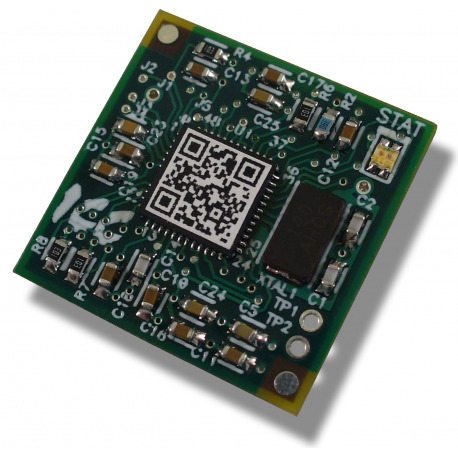 Serial communication module to easily network-enable any product. 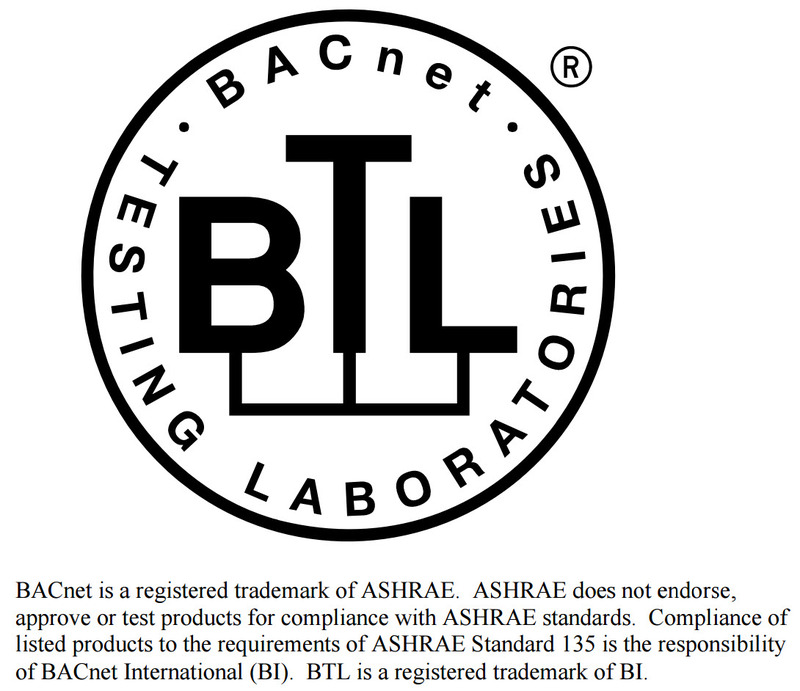 Modbus RTU, BACnet MS/TP, Metasys N2, Siemens FLN, DMX-512, Generic Serial, SPI, and more. Save in development costs and achieve a faster time to market. The PicoPort allows OEMs to easily network-enable their products for a variety of serial and fieldbus networks. It is ideal for devices where size, hardware flexibility and simplicity are the decisive factors. 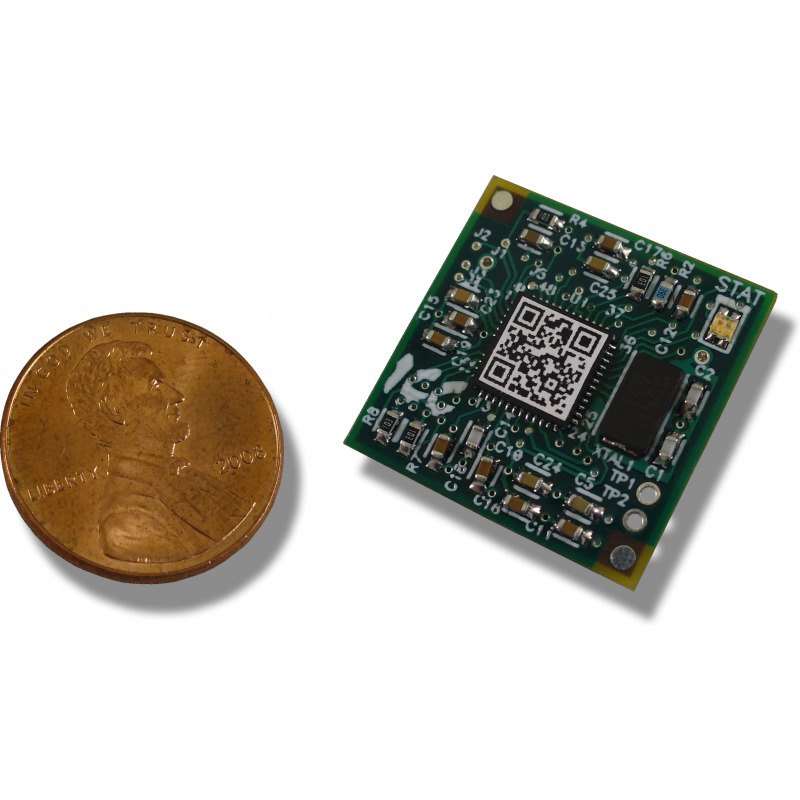 The PicoPort is only 0.85" x 0.85" so it's designed to fit into small devices. In addition to dual serial ports, there are up to 9 programmable GPIO pins, each of which can be assigned from a selection of analog and digital input and output functions. The OEM need only select the physical layer and connectors to meet the requirements for their environment. The PicoPort is designed to work stand-alone (in discrete sensors, for example) or with a host processor. 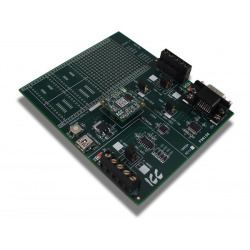 The PicoPort can be thought of as a "gateway-on-a-chip", where host communication and/or I/O signal data is converted to a serial network protocol (such as Modbus RTU or BACnet MS/TP), providing seamless data exchange between the network and host device. PLC-style logical, arithmetic and filtering data manipulation operations, called Database Logic, allow the construction of complex autonomous data conditioning and control functions. 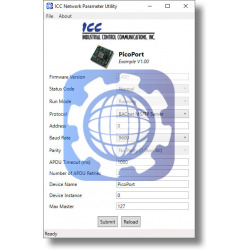 The PicoPort is configured by the OEM via USB using the Windows-based ICC Configuration Studio for any of the supported and proven fieldbus protocols. The network port can be configured for multiple protocols which can be selected at run-time. 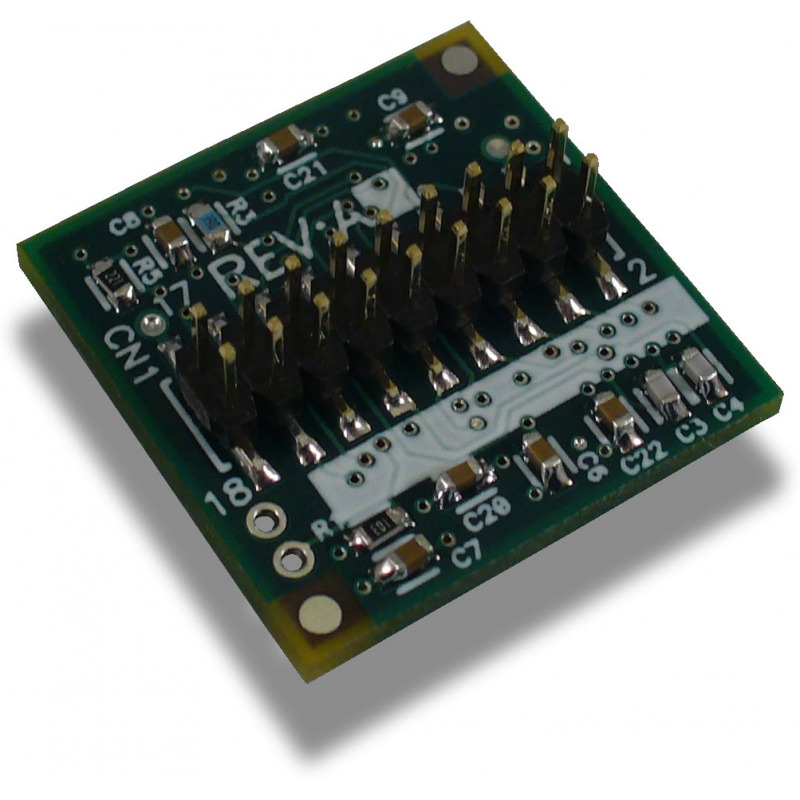 Custom protocol drivers are also possible using the versatile Generic Serial driver. The PicoPort is field configurable and upgradable. Run-time network parameters can be set directly by a host processor or via USB using our customizable, light-weight Network Parameter Utility. The Windows-based NPU software makes user configuration simple and easy. It provides configuration of all applicable network settings, automatically manages device firmware, and allows updating devices in the field. The utility can also be self-branded by OEMs to provide a cohesive product appearance to their customers. The PicoPort comes with lifetime free firmware updates including any new protocol drivers developed in the future. And of course all ICC hardware products include free unlimited technical support. Isolated RS-485 Example - This example shows one possible implementation to connect the PicoPort to an isolated RS-485 network. Non-isolated RS-485 Example - Refer to the PicoPort DevKit schematic found in the PicoPort DevKit User's Manual. PIC18F SPI Master Example - This example shows how to communicate to the PicoPort using the SPI interface of a PIC18F microcontroller. Linux SPI Master Example - This example is an interactive command line program to communicate to the PicoPort via SPI from a Linux device.